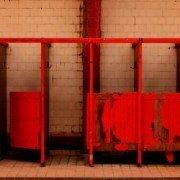 The Friends of Govanhill Baths is a group set up over a decade ago to support the work of the Govanhill Baths Community Trust. It’s an informal group who’s role is to promote and publicise the work of the Trust to the community, assist with fundraising activities and organise volunteers for events at the Baths. The group will re-launch this weekend with a meeting, open to all, at the Baths on Saturday 29th Auguist at 11am. This is an ideal way for local people and others to get involved in the project and support and contribute to the fight to re-open the swimming pools. 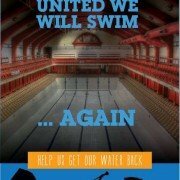 After a highly succesful tour of film festivals, community groups and pool campaigns across the UK, Unite We Will Swim… Again is available to but on DVD. Fran Higson’s film, telling the extraordinary story of our campaign to save Govanhill Baths was nominated for best short film at the Edinburgh International Film Festival and won the Small Axe prize for best Activist Film of 2015 at the Tolpuddle radical Film Festival. The DVD was launched with a special one-off screening in The Steamie on Fri 7 August. The DVD is on sale at The Baths for just £7.